Carolwood Foundation – Small Worlds of Walt - Up and Running! Home / Storybook Land / Up and Running! Published on June 16, 2013,	by Rob Fendler in Storybook Land, The Small Worlds of Walt Exhibit. 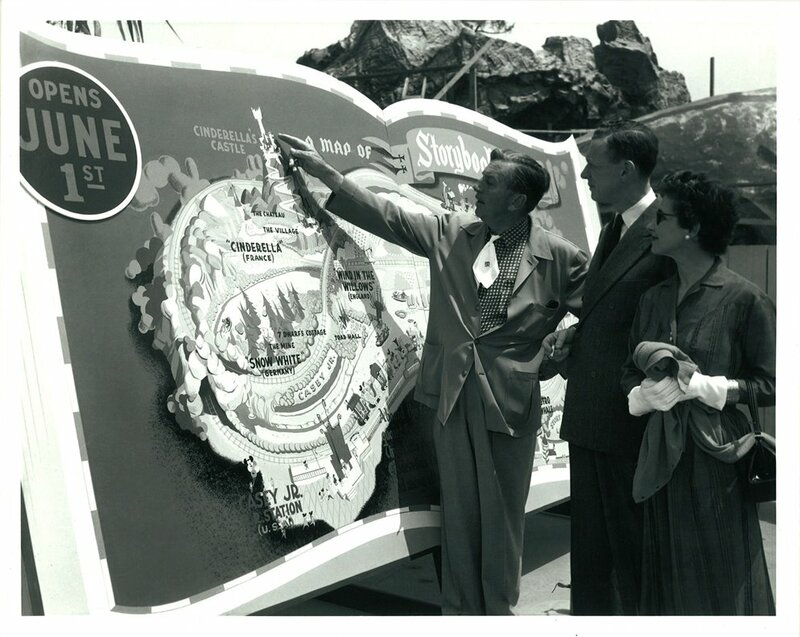 Although it was 16 days late from the projected June 1st opening date, Storybook Land finally opened to guests on June 16th, 1956 with a formal dedication on June 18th. On the 57th anniversary of the opening of Storybook Land, I’m pleased to announce the launch of the Carolwood Foundation’s “The Small Worlds of Walt” website. What will eventually become a permanent exhibit at the Carolwood Barn in Griffith Park, “The Small Worlds of Walt” will feature miniatures of every kind from Walt Disney’s life that explored what a “miniature” could be. From the Combine car from the Disneyland Railroad, itself a scale model of a full sized railcar, to a new display of an original village from Storybook Land, one of Walt’s favorite attractions. Unfortunately, before the Storybook Land village can go on display, it will need an extensive restoration. However, the Carolwood Foundation felt that this miniature structures that were built by Disney Legends, and show the meticulous care for detail that Walt expected for his park, were worth saving. By displaying these small scale architectural artifacts from the early days of Disneyland, the Carolwood Foundation would be further preserving not only Walt’s railroad history, but how that railroad intertwined and was born from Walt’s fascination with miniatures. If you find this Disney history just as fascinating as we do, we’d like to get you involved with making this exhibit come alive. Soon we’ll be launching an Indiegogo fundraising campaign to help with the cost of restoring these historic structures. Check back soon for more information and other cool stuff to see as we get our site up and running at full steam.